There once was a time when every firearm manufactured could be considered a custom build, with each piece hand crafted and fitted to a particular rifle, musket, or pistol. Advances in engineering during the 19th century ushered in the era of mass production and component interchangeability, a technological wonder that completely revolutionized arms manufacturing throughout the world. While the majority of today’s firearms are still produced en masse in certain stock configurations, the majority rarely remain in their original form. While custom rifle builds traditionally required the skills of a gunsmith or a competent machinist, the ease in which a rifle like the AR-15 or Remington 700 can be built and modified has been simplified to the point where a common layman can build a match grade rifle with a few basic tools and a brief tutorial. The unprecedented modularity of these rifle designs has led to an explosion of aftermarket components, accessories, attachments, optics, lights, and barrels. A new golden age of the custom rifle build is upon us, and the idea of the “perfect rifle build” may vary dramatically from one shooter to the next. Our next segment will outline the functional requirements and build strategies involved in the construction of each shooter’s perfect 3 gun rifle. Part 2: Functions, Classifications, and Build Strategies of the Ideal 3-Gun Rifle. Part 3: Upper Receiver Component Selection. Part 4: Lower Receiver Component Selection. 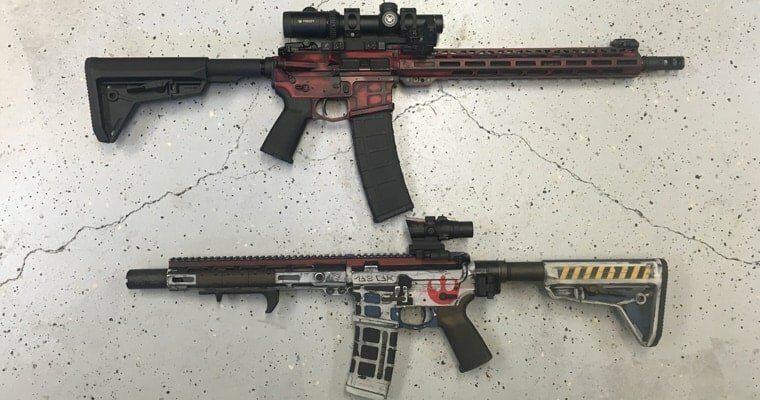 This entry was posted in AR-15 & 308 AR, Articles, Technical Articles and tagged 3-gun, ar-15, criterion barrels, custom rifle, madalyn stewart, perfect 3-gun rifle, rifle build, sean dexter, team clevenger, thomas stewart.